It’s Saturday. The weekend is here. And this post is for the DIYers who can’t wait for the weekend so they can start a new project! 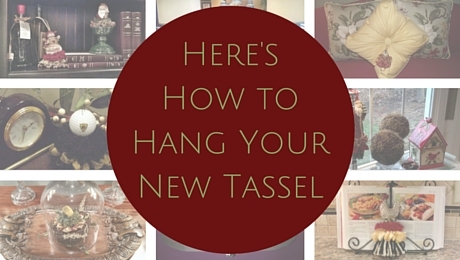 We’re right there with you and we’re excited to share this super-easy project! 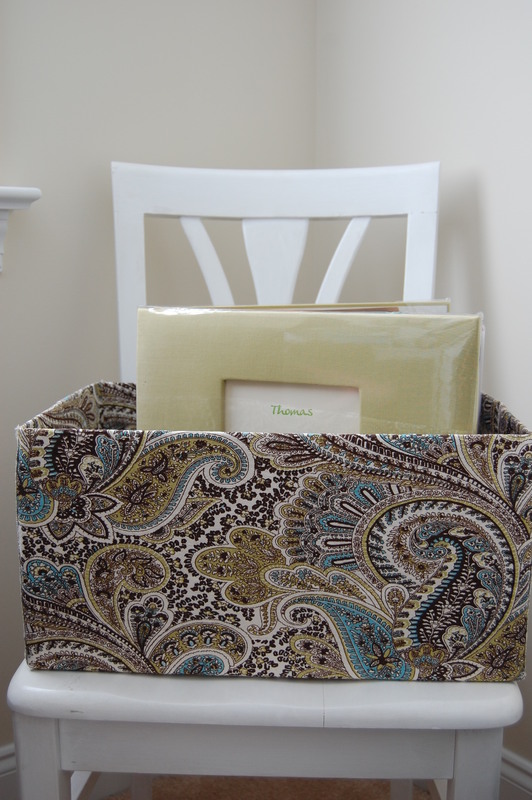 If you are like us, you are always looking for storage boxes to use around the house. We love anything that helps keep us organized, but we really love when it helps to keep us organized and it matches our decor. 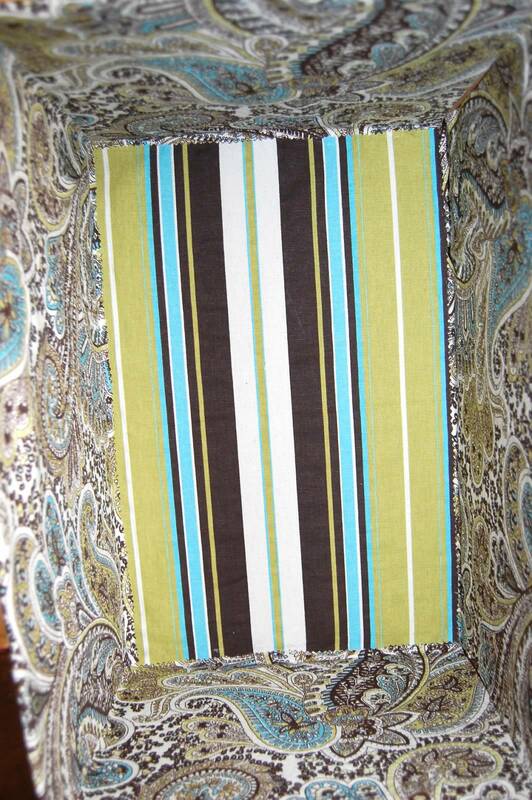 We are also in favor of utilizing fabric in unexpected places and today’s project does just that. 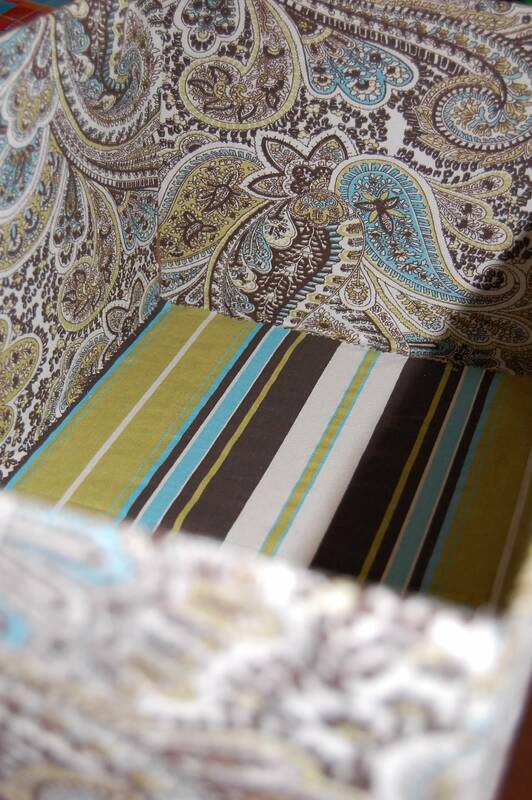 This weekend’s DIY project is a fabric-covered storage box. 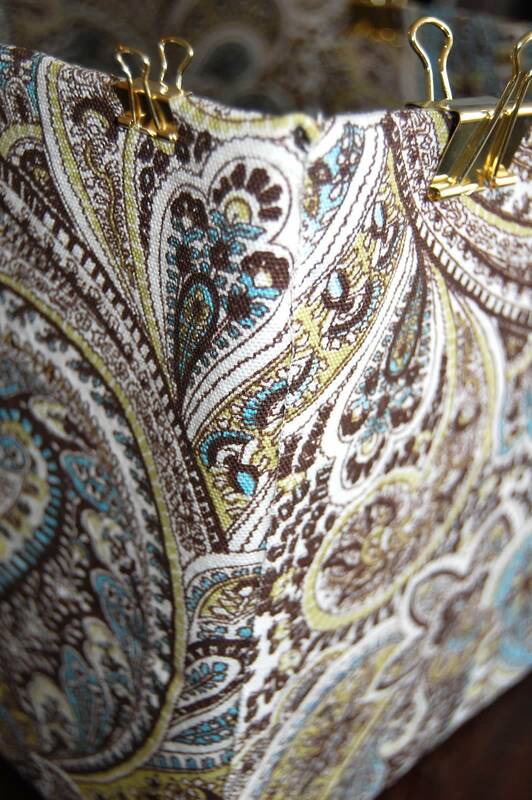 It helps keep us organized, it is customized to our decor, and the fabric adds texture and color to your room. The best part is that it can be done in just an hour or two so let’s get started! Cardboard box – any box will do. We used a paper ream box from an office supply store. No need to get fancy with your measurements here. 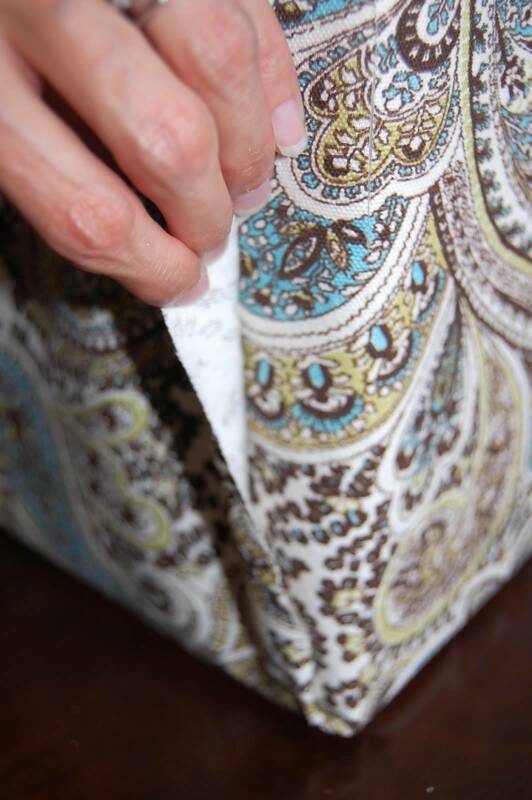 Simply place your box on top of the fabric and mark the edges with your pencil. Start at one end of your yard of fabric to make sure you aren’t wasting it and that you will have enough left over for the remaining sides. You are basically cutting a long strip here that is wide enough to cover the bottom and long enough to wrap the sides. Make sure you cut your fabric strip long enough to cover the exterior bottom of the box, the interior sides, and about one inch of the interior bottom. 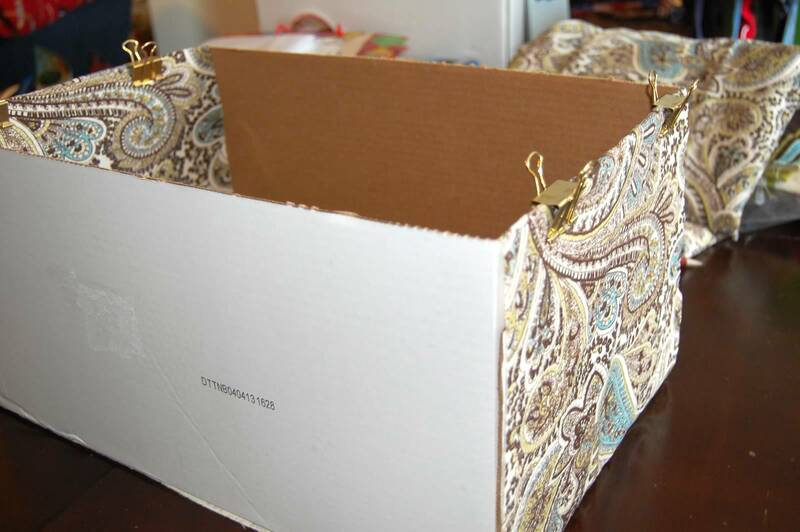 Step 4: Glue fabric strip to the bottom of your box and binder clip the sides. This is where the binder clips come in. Glue the bottom down, but don’t glue the sides yet. Clip those up with your binder clips for now. Step 5: Measure and cut the second strip of fabric to cover the bottom of your box, the remaining sides, AND to create side flaps. IMPORTANT: when cutting the second strip of fabric, you need to cut the strip a little wider along the sides to create side flaps (see flaps in picture above). So when measuring your second strip, trace the bottom of the box, and then trace the fabric for the sides about an inch wider than the box for your flaps. Cut the flaps so they equal the height of the box and are only on these two exterior sides. You don’t need the flaps on the interior or bottom of the box. You should have four side flaps. Step 6: Glue the second strip down to the bottom of your box and binder clip the sides. 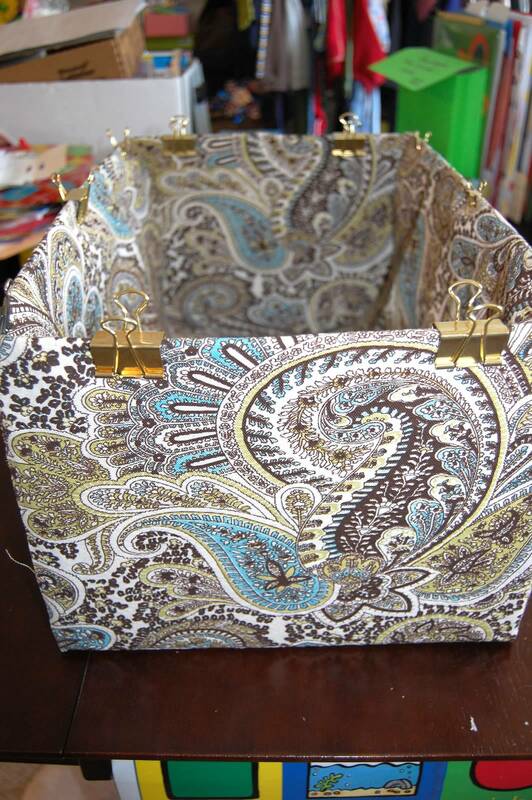 Just like step 4, but this time you will be covering the bottom of the box with a second layer of fabric. We found this to be beneficial as it adds an extra layer of protection on the bottom. Step 7: Tuck the four side flaps under the first strip of fabric, then glue the first strip of fabric on top of the flaps. This takes a little bit of finesse, but just imagine that you are wrapping a present. This is like wrapping the side ends of a box, but you are using glue instead of tape. 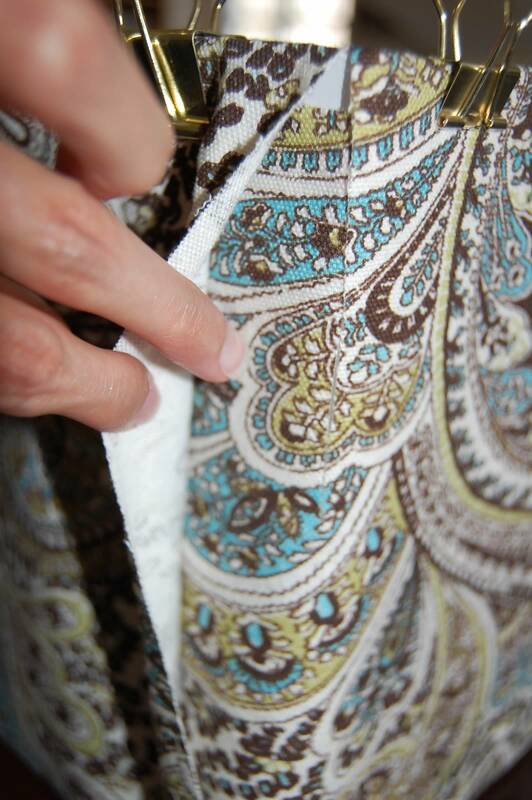 Fold one flap under the fabric and glue to secure. Keep folding the flap under and gluing the sides down until both ends of the first strip of fabric are secure. You’ll do this for each of the four flaps. The finished seam along the side flaps should look like this. Step 8: Glue the interior sides down. By now, you should have something that looks like this. 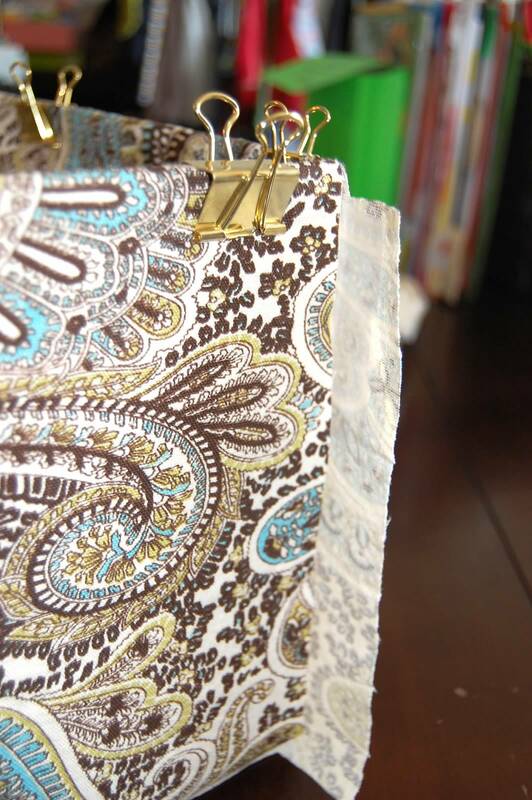 Working with one side at a time, remove the binder clips to lift up one interior side of fabric. Then glue it down. 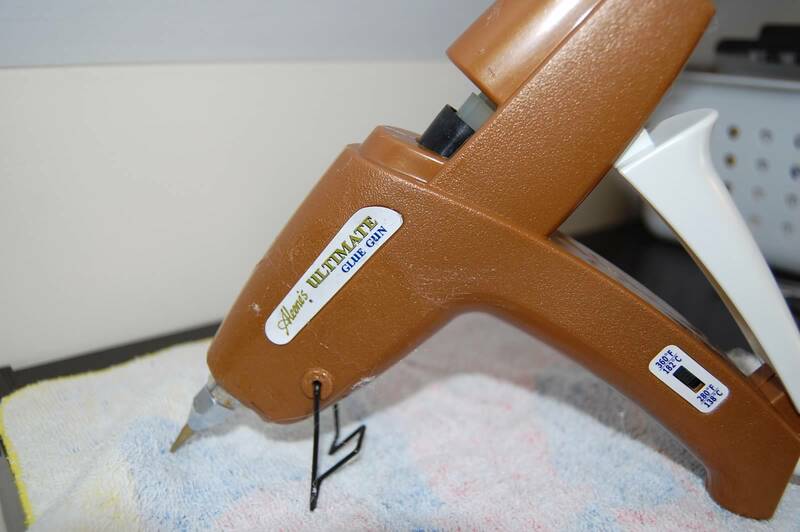 Replace the binders to reinforce the glue until it completely dries. Repeat for each interior side until you have something that looks like this. 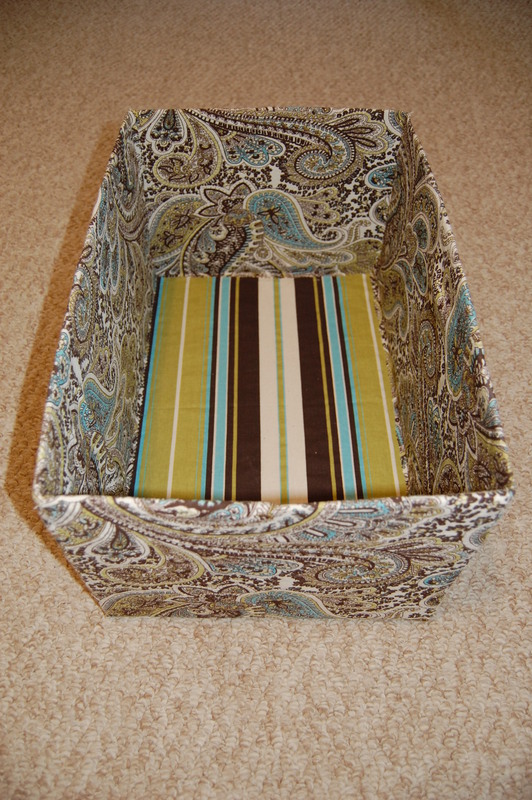 Step 9: Measure and cut fabric for the interior bottom of your box. Again, no need to get fancy with your measurements. 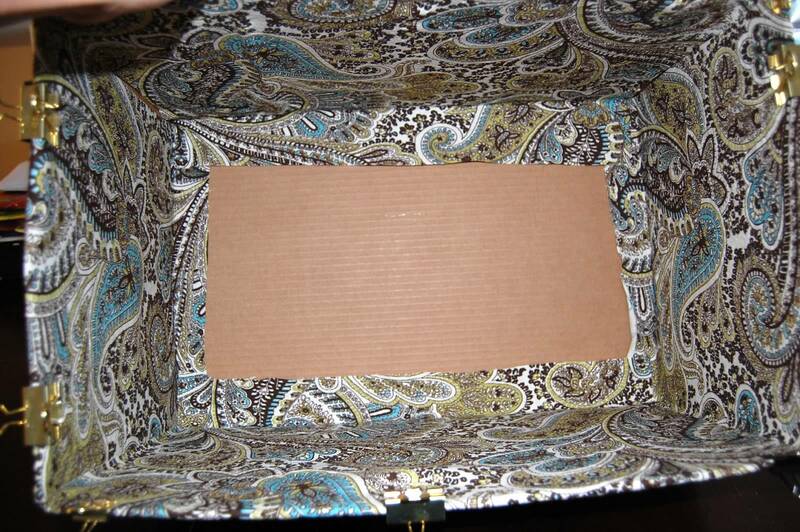 We placed our box on top of the fabric and traced around the bottom. Then we cut that out about 1/4 inch from the outline that we just drew so that the fabric would fit inside the bottom of the box. OPTIONAL: we chose to layer the bottom of the box with a coordinating fabric and we cut this piece of fabric with pinking shears. Step 10: Glue the interior bottom fabric piece down. We found it was easiest to work with one edge at a time when gluing this piece down. 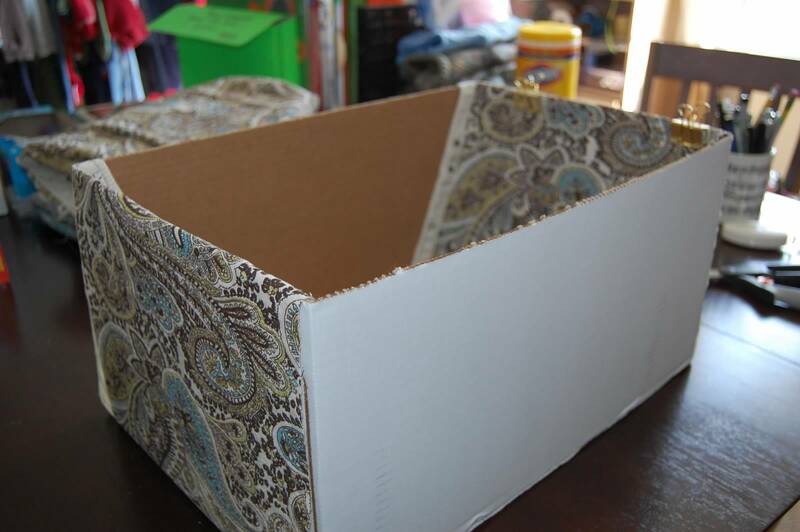 Place a strip of glue along one edge of the bottom of your box where the fabric will go, lay your fabric down, and press to seal the glue. 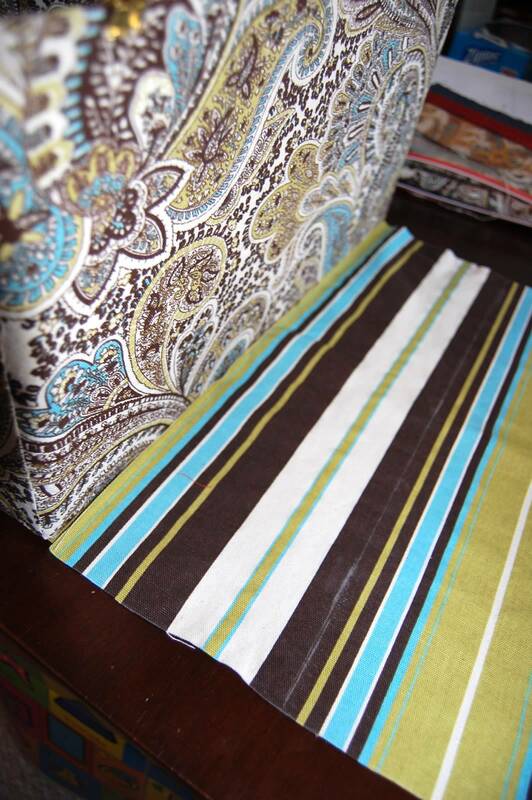 Repeat with other strips of glue along each edge of the fabric. Step 11: Allow the glue to set for 24 hours before you find a use for your new storage box. Voila! You now have a lovely new storage box that matches your decor! 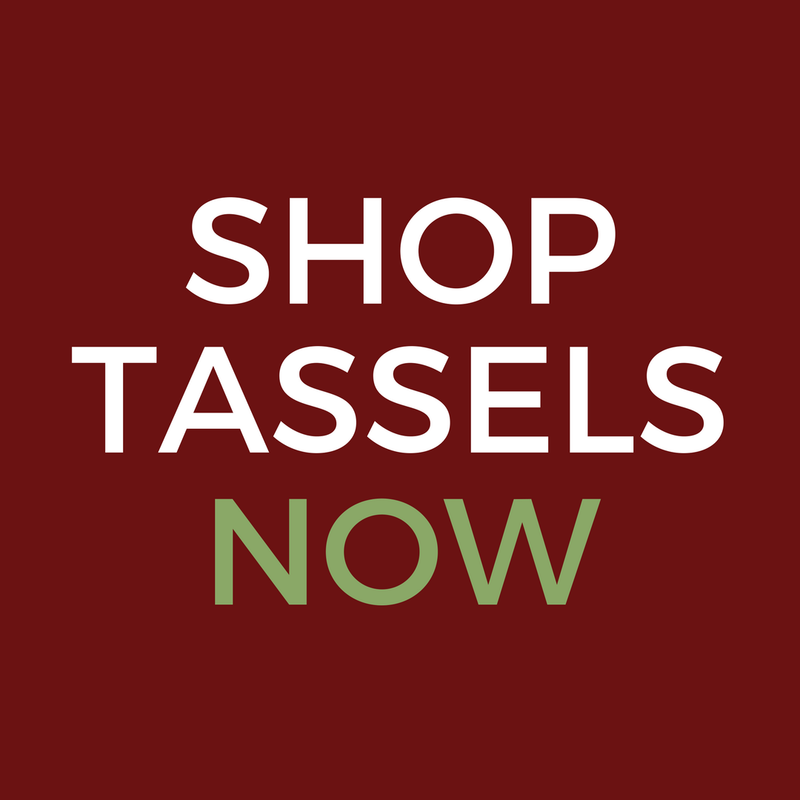 Previous postQ&A with Classic Tassels and More! I am loving your blog but have a request. Is it possible to change the background color so it’s easier to read? Thanks so much for the kind words. Yes, I will review my options and appreciate the feedback.